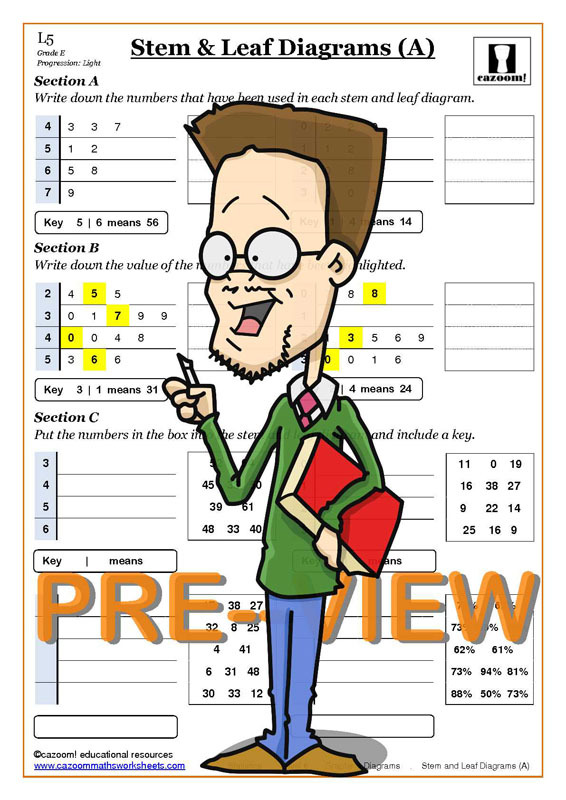 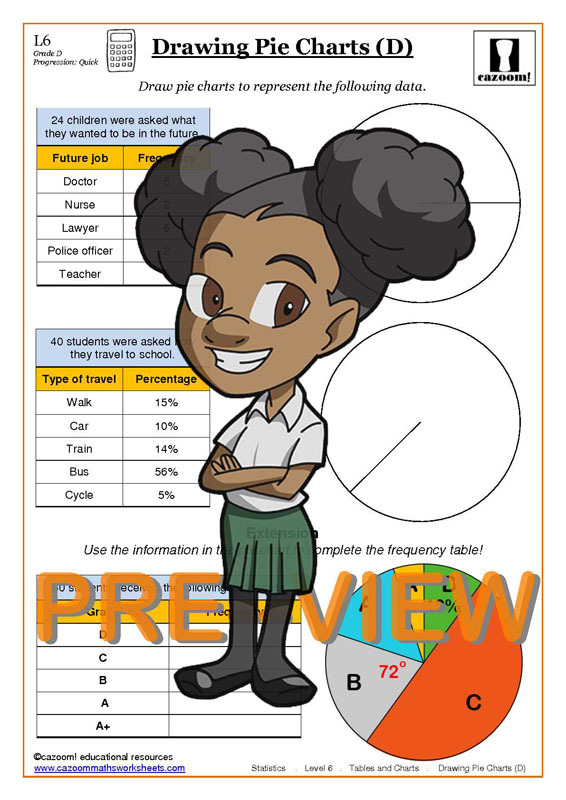 Our year 8 statistics worksheets are designed to help students handle all the different types of statistics problems. 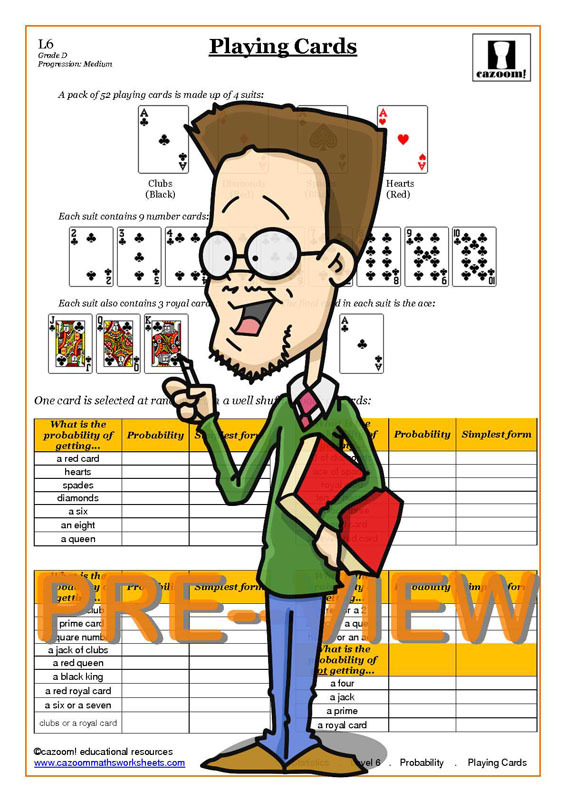 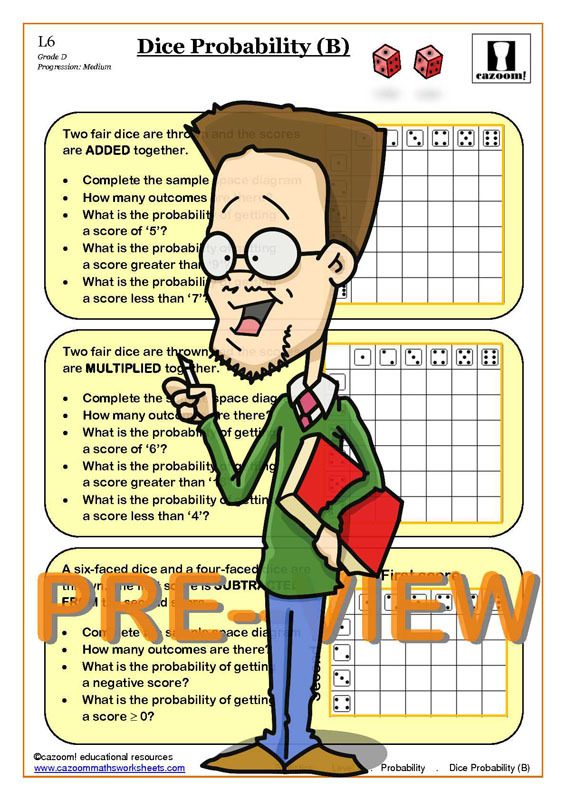 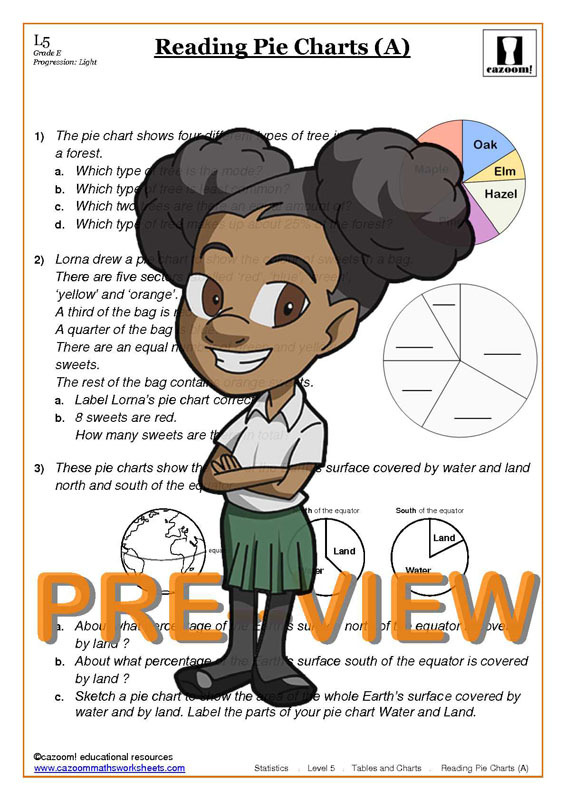 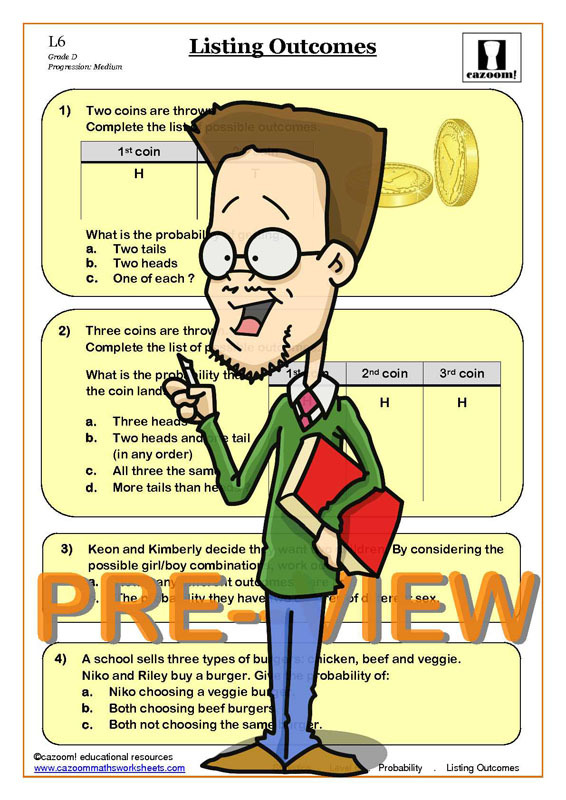 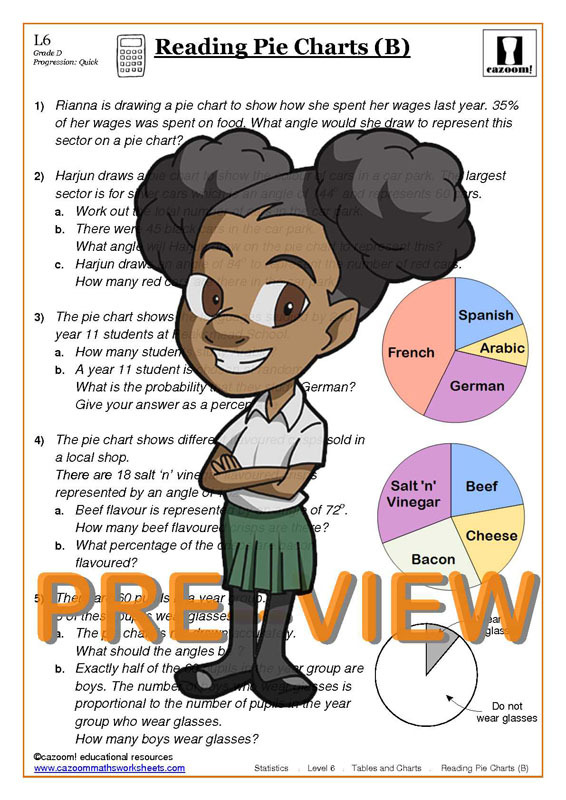 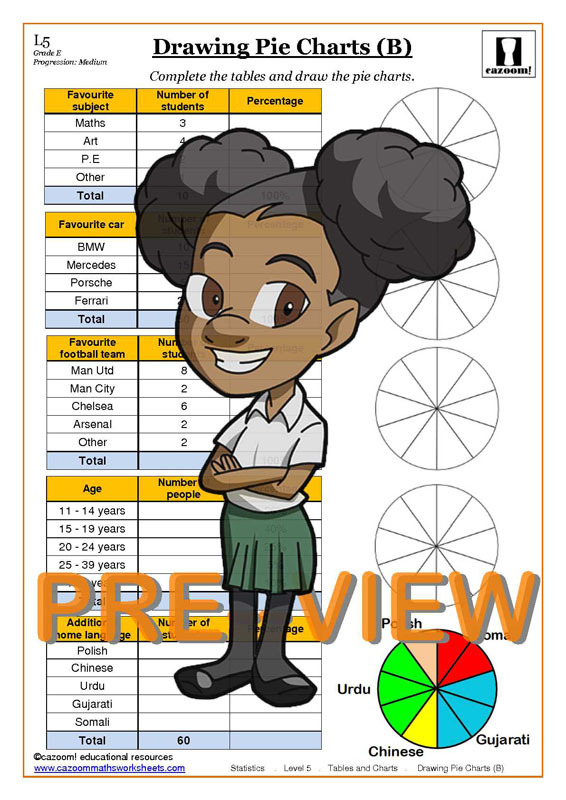 Our clearly presented worksheets on topics from pie charts and bar charts to mean median mode to probability are enjoyable and easy to follow. 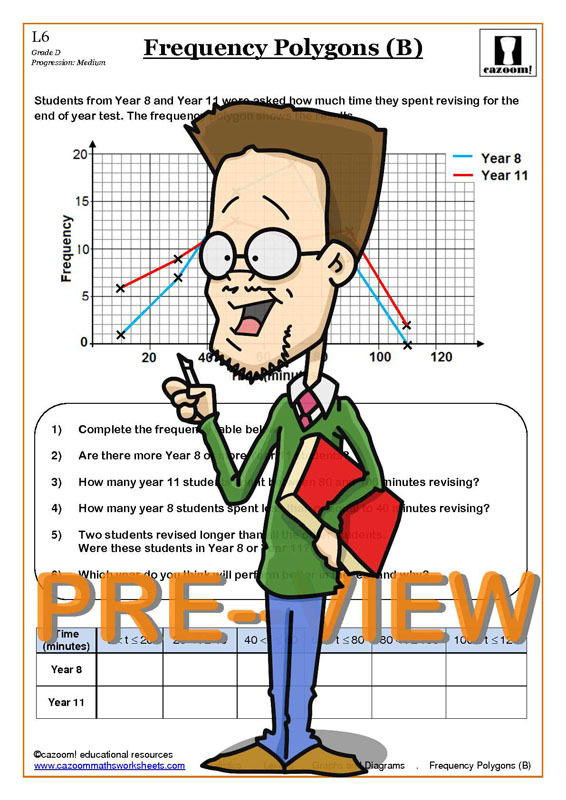 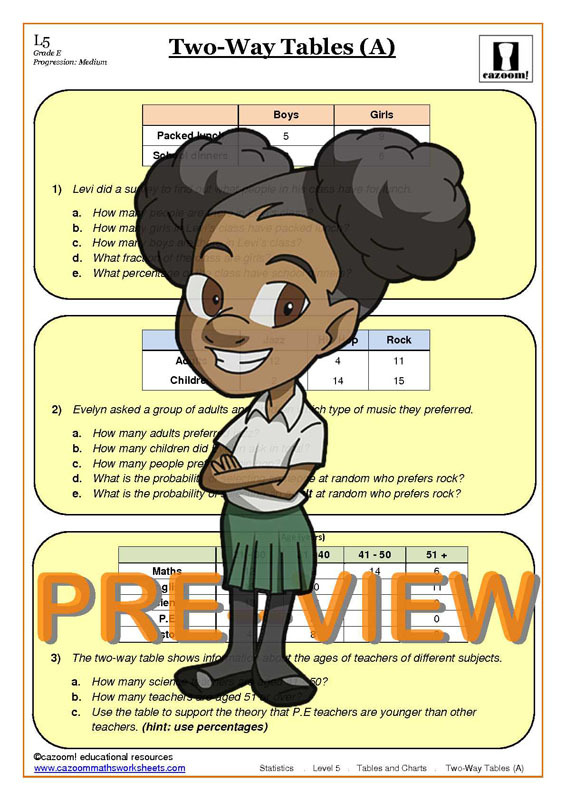 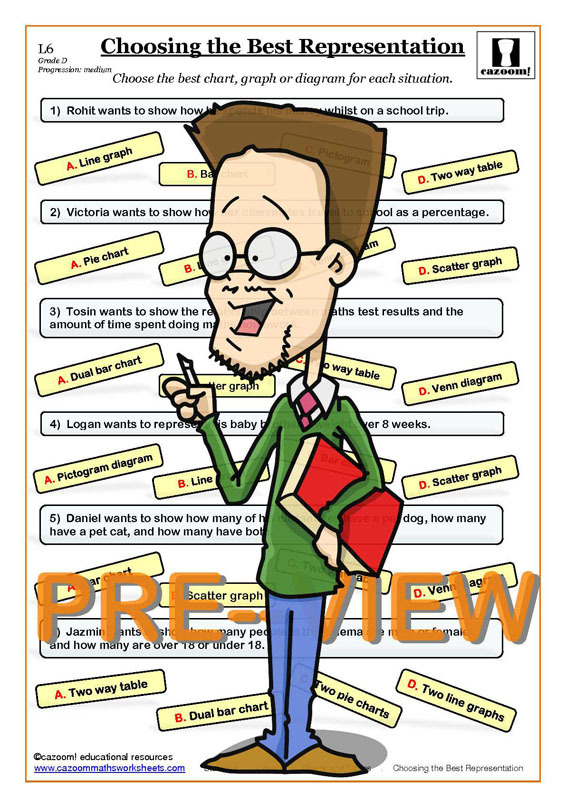 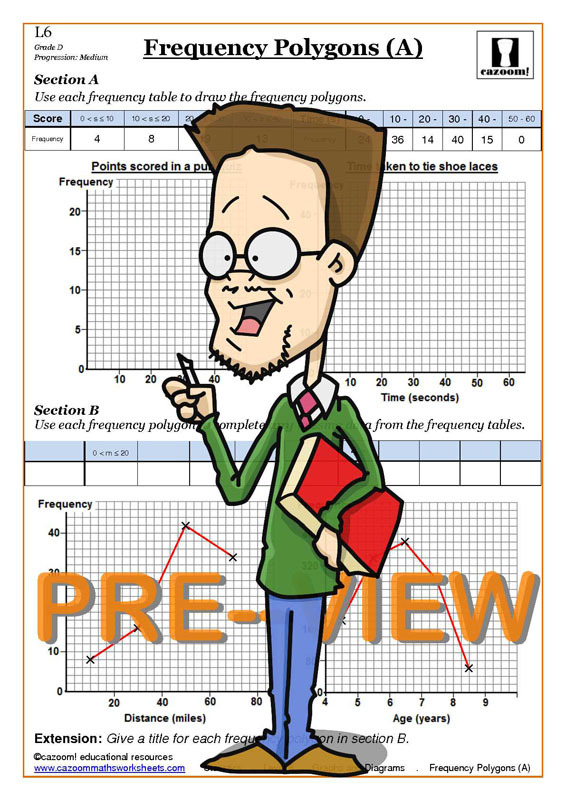 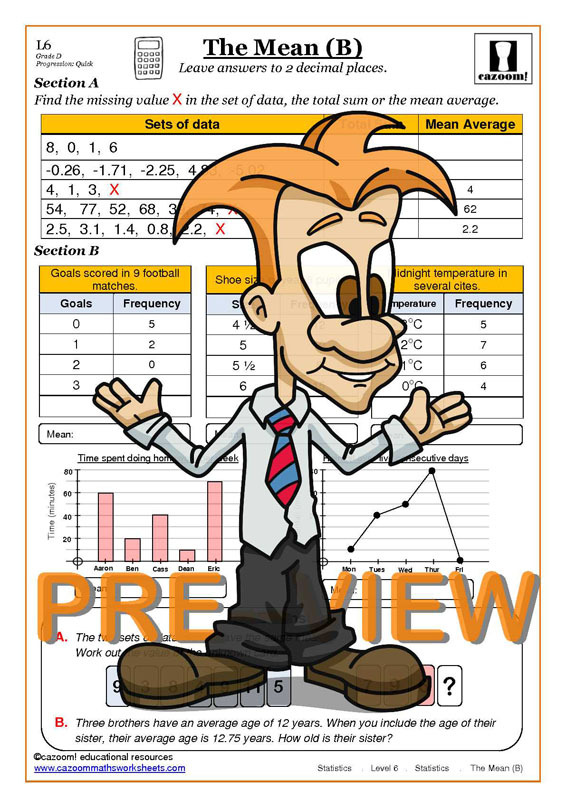 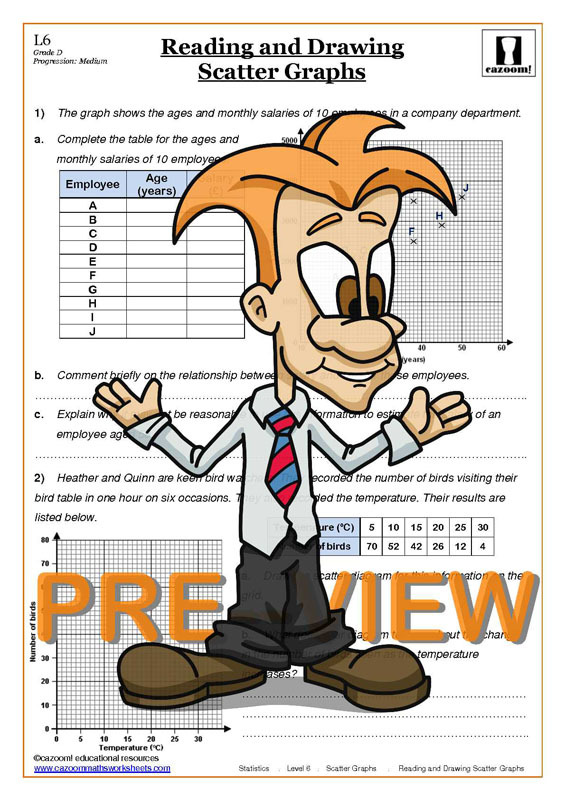 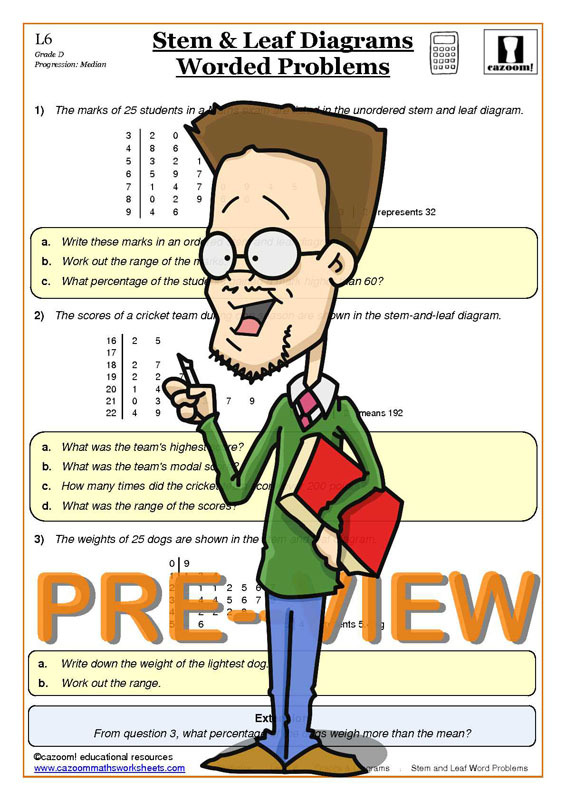 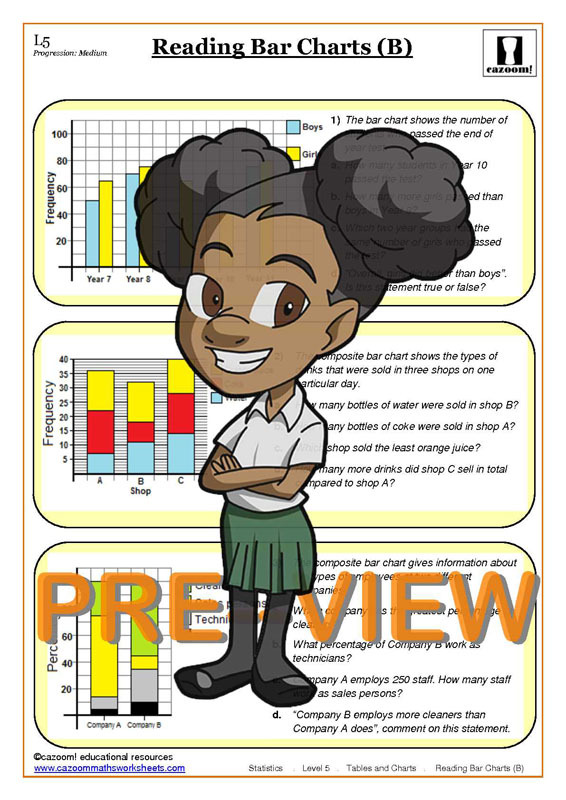 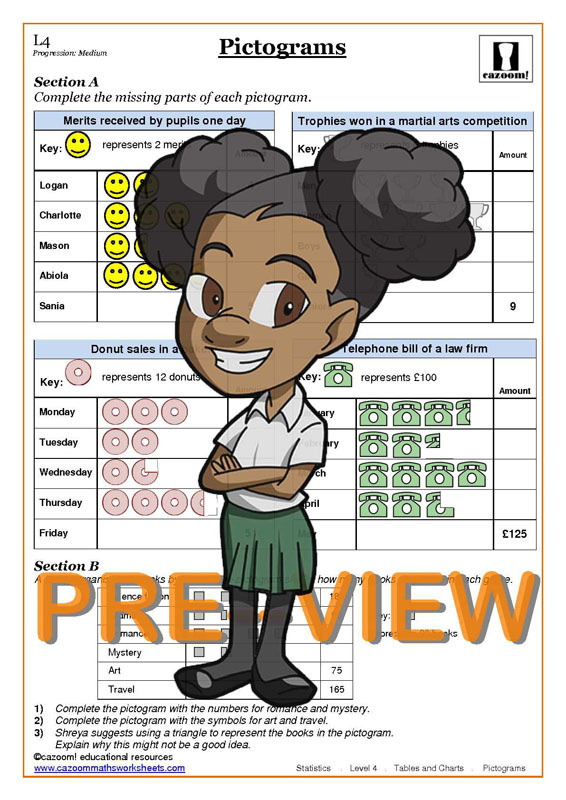 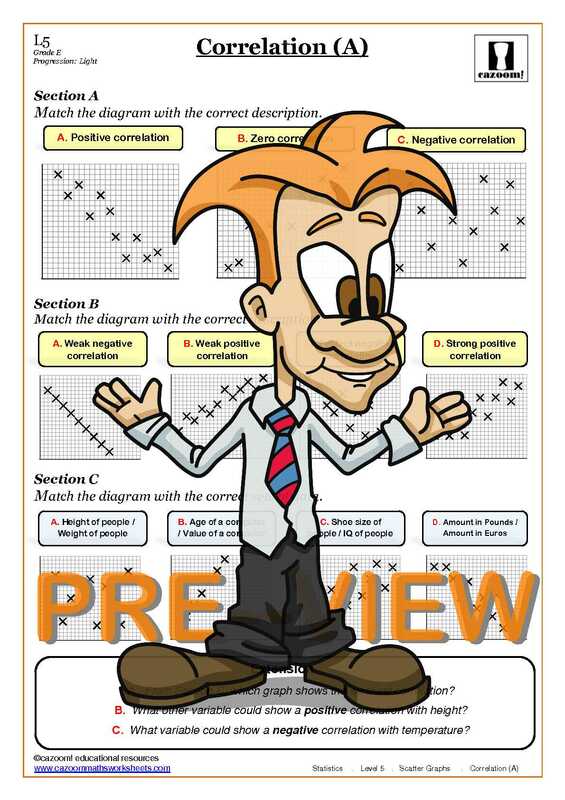 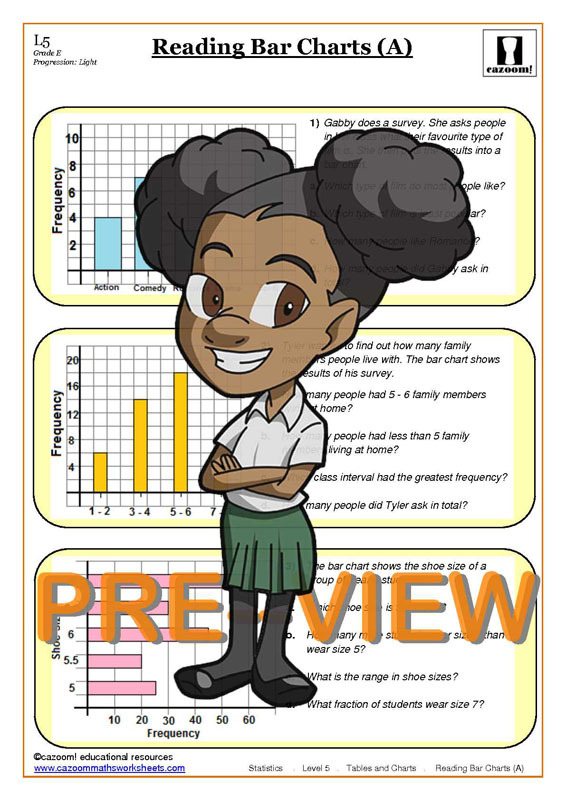 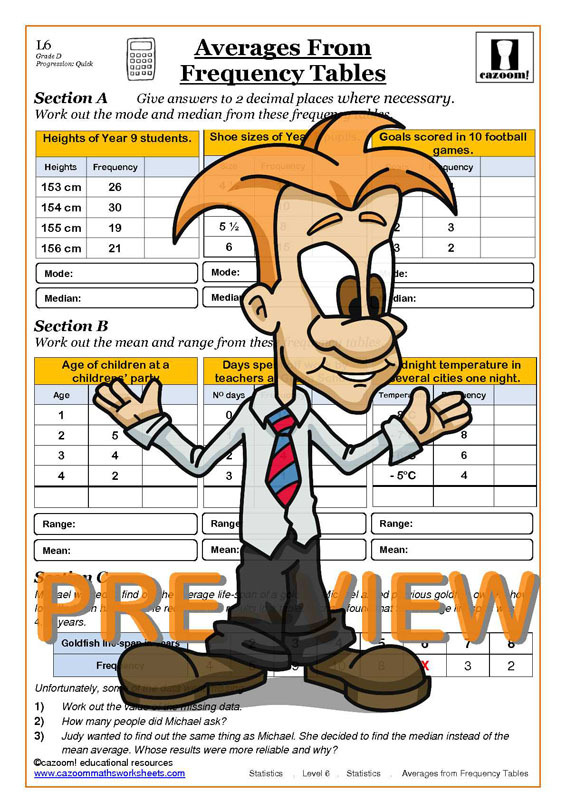 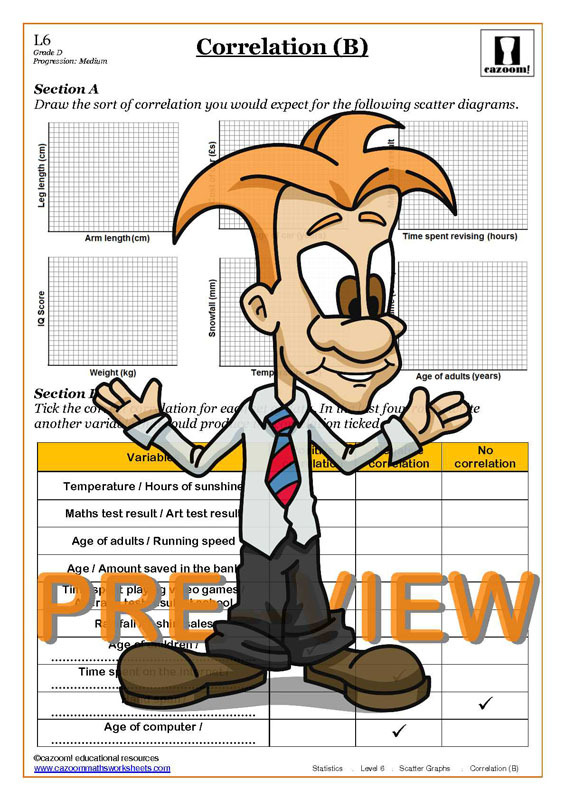 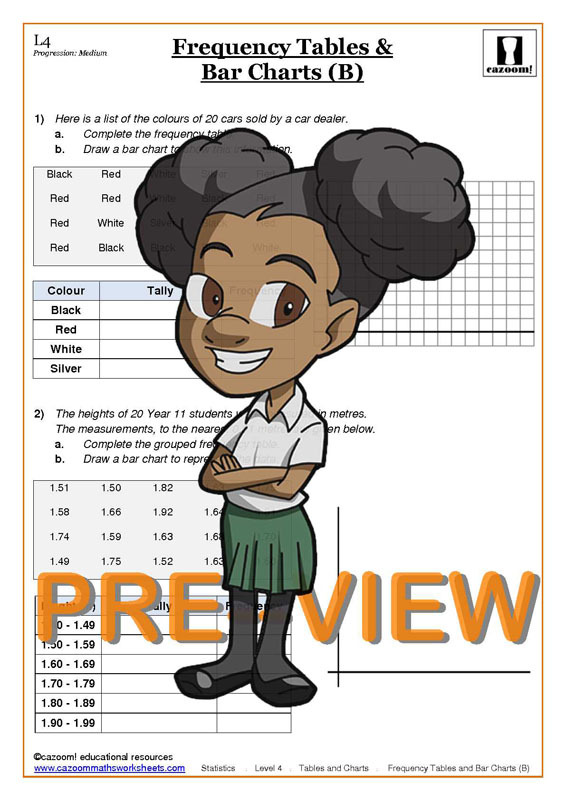 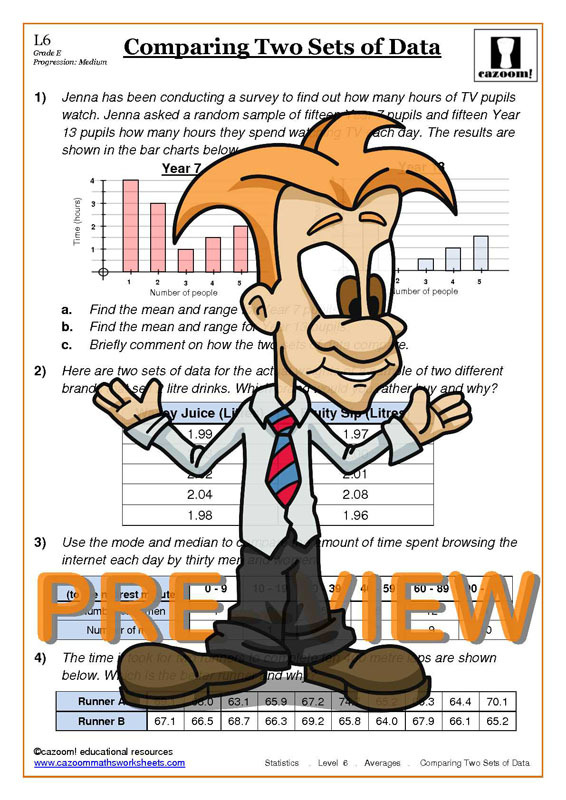 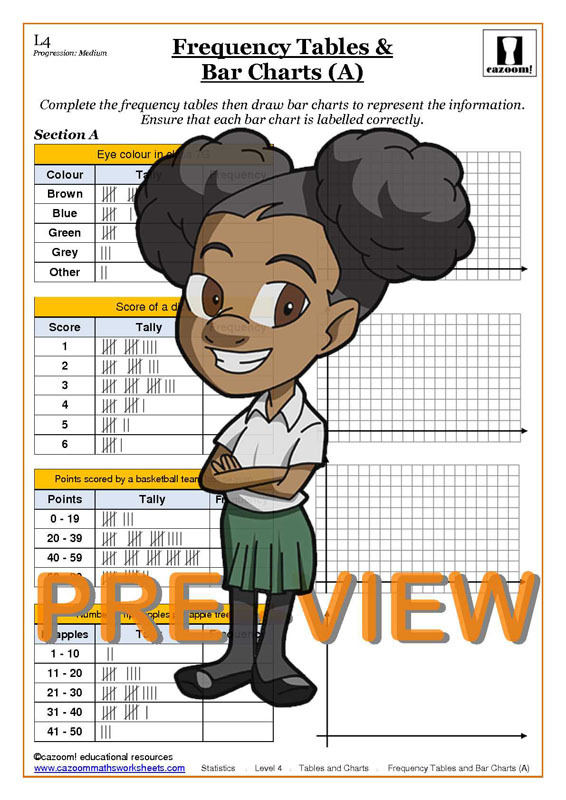 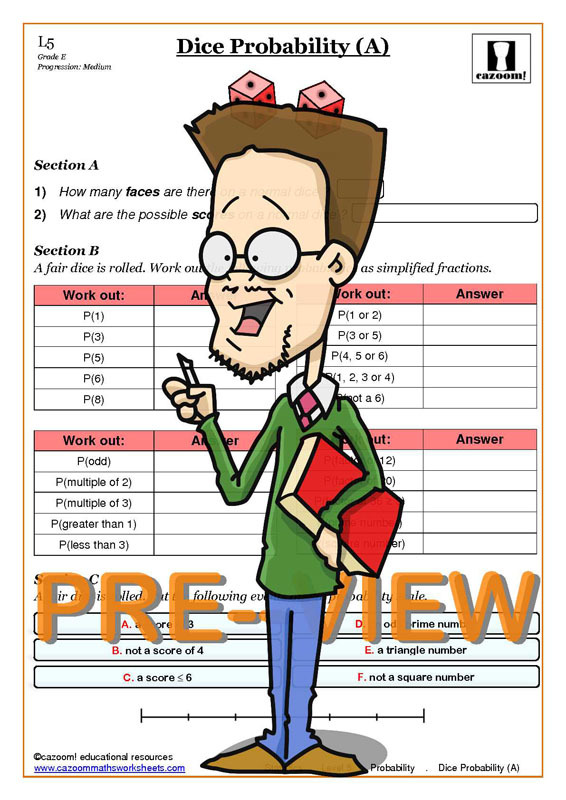 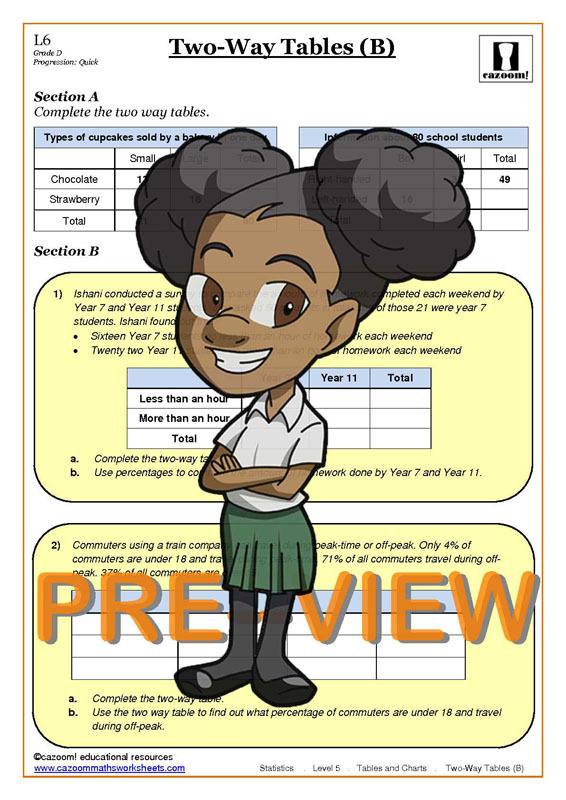 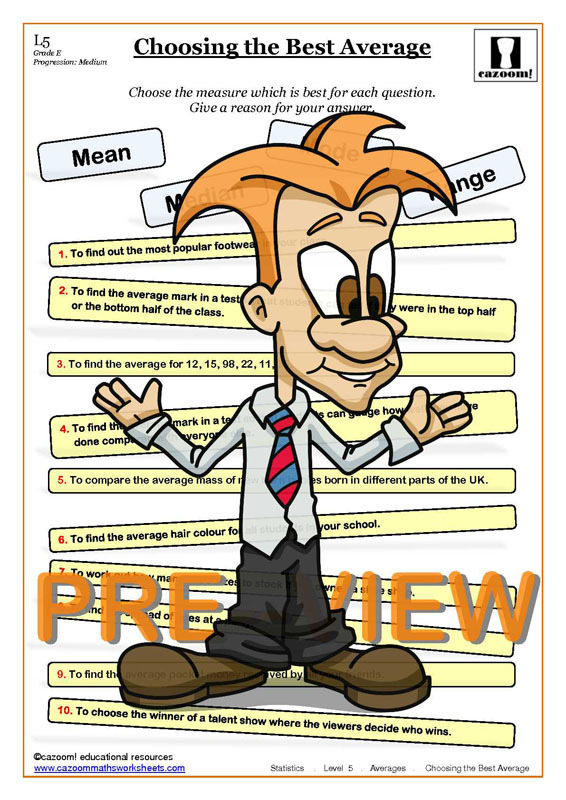 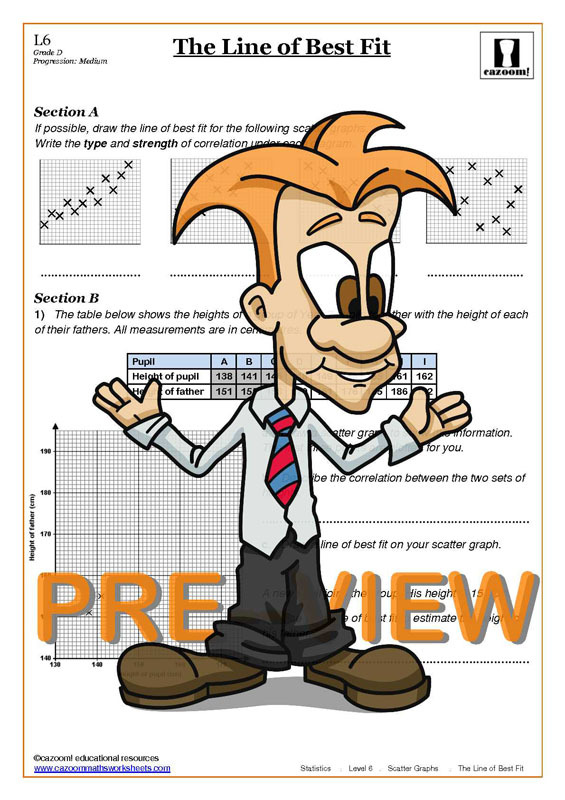 We have year 8 statistics worksheets to suit students of all abilities and all worksheets are supplied with answers so you can assess how well your child or pupil is progressing. 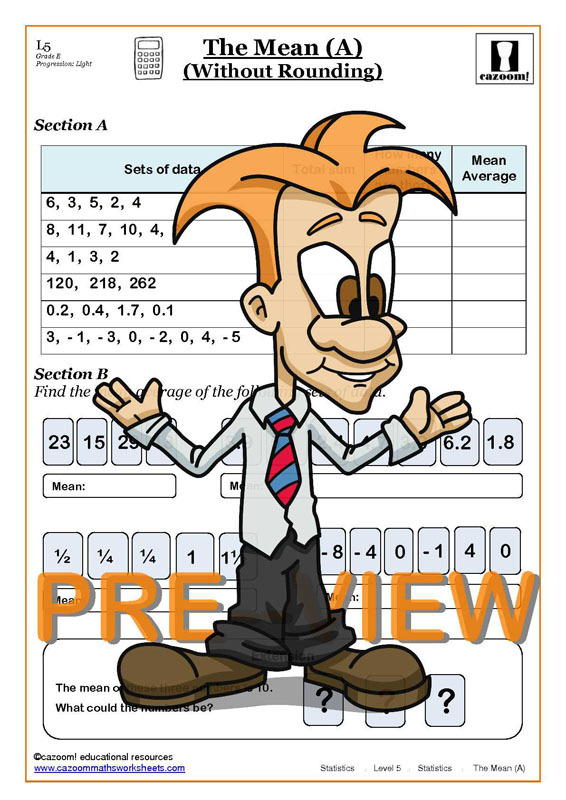 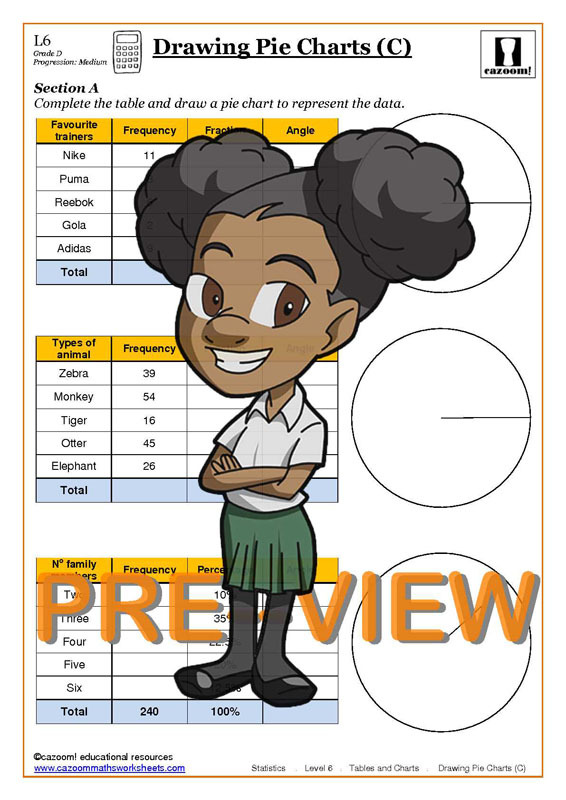 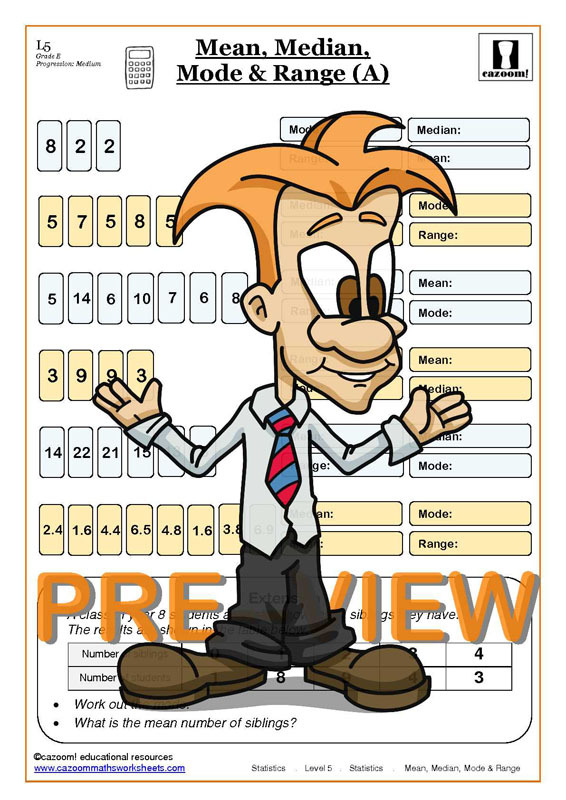 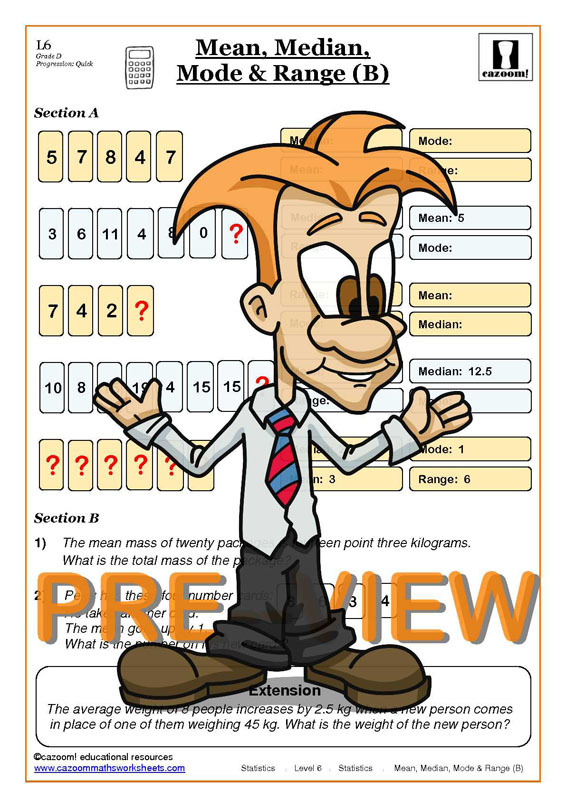 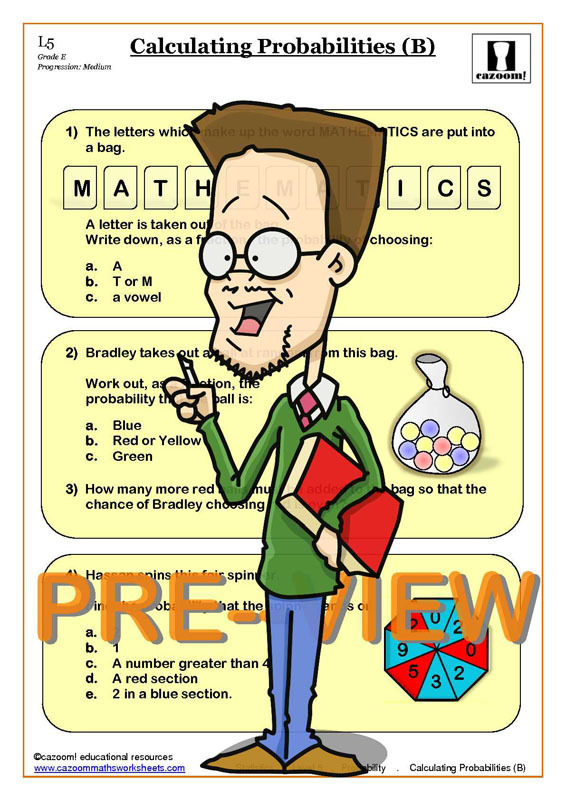 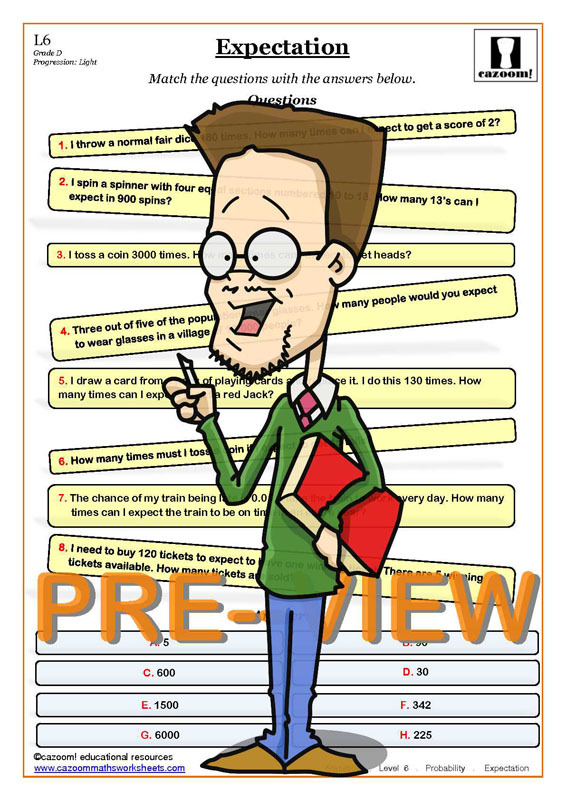 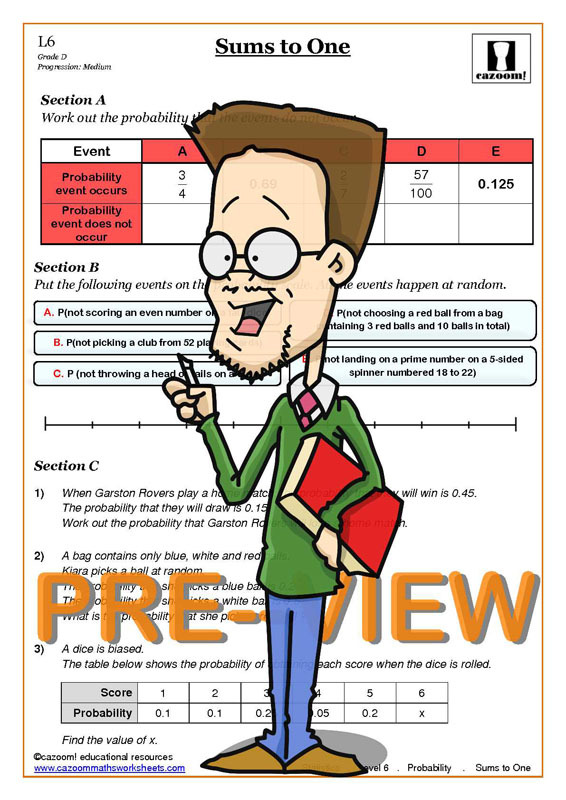 Statistics is an important topic at key stage 3 and all of our resources at Cazoom Maths will help your pupil or child master statistics with ease!